In our Reader Survey 2010 Wine to Watch, Woodinville’s William Church Winery came out on top with their 2008 Malbec. This is an annual award where readers nominate and vote on wines to be released the following year that they are most excited about. 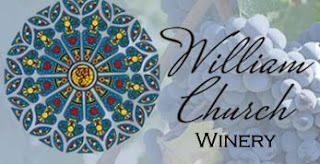 Next weekend, William Church is offering visitors the opportunity to see the bottling of this wine and three other future releases – the 2008 Cabernet and Syrah and the 2009 Viognier. Saturday, February 13th from 12-5pm “Bill the bottling guy” will be on-site packaging up each of these wines. Visitors will get an explanation of the bottling process and watch it in action. 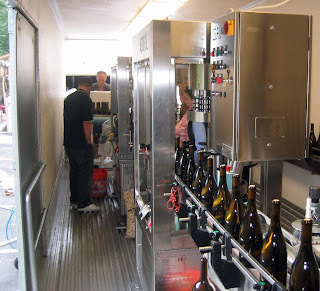 Wines will be available for “adoption” right off the bottling truck, complete with “adoption papers” saying either to drink now or hold four to six months while the wine recovers from bottle shock. Bottles will be discounted 10% off the release price for this event. The winery will also be pairing chocolate truffles with their current releases. (Note: The current and future releases will also be poured on Sunday but the bottling is Saturday only). For people not stopping by the winery this weekend but who are interested in these wines, the Viognier will be released in April or May; the Malbec in July; the Syrah in September; and the Cabernet in March of 2011. Don’t get your heart too set on the 2008 Malbec or the 2009 Viognier for that matter. These wines are sold out! Correction: The 2007 Malbec and 2008 Viognier are sold out, but the 2008 and 2009 vintages are looking for good homes. We can't wait to share these wines & we know you meant to say its the 2007 Malbec and 2008 Viognier which are sold out. The 2008 Malbec and 2009 Viognier are alive and well and two of our "adoptable" wines for your tasting pleasure this weekend. Leslie, thanks for the correction. Let this be a lesson to us all. Don't blog and fly!